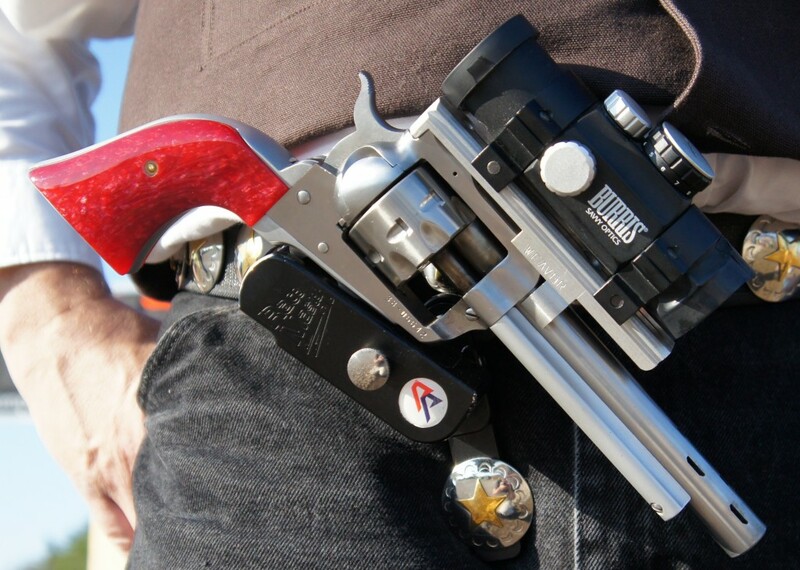 Yes, that is a Ruger single action revolver set up for Steel Challenge Open division. That…is pretty rad. Watching a shooter who really knows how to work a tuned single action like that? Awesomer. If .38 Super, then it takes moon clips? Or, how the heck does the loading process go? I do think I may need a medallion hanging by my jumblies, or is that presumptuous? No moonclips for an SA revolver; wouldn’t work with the loading gate. The cylinder is reamed in such a way that the cartridge headspaces the same way it would in a pistol chamber. Do you have any video of him shooting steel with that? Would love to see how it’s done. Damn. Jim March has w-a-y too much time on his hands.